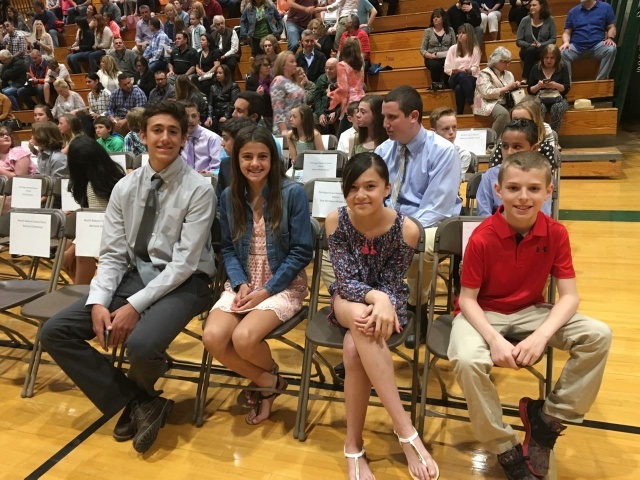 Miller Place School District students at North Country Road Middle School and Laddie A. Decker Sound Beach School were recently recognized for their excellence during a recent Suffolk ZONE Physical Education awards ceremony. 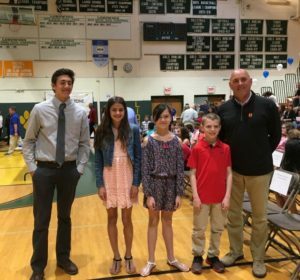 Four students, one male and one female from the fifth and eighth grades, were selected by physical education teachers to receive the award based on their exemplary effort, attitude, conduct and compassion within the curriculum of physical education. The Suffolk Zone Chapter of the New York State Association for Health, Physical Education, Recreation and Dance distributes this award once per year.